Live Reiki. 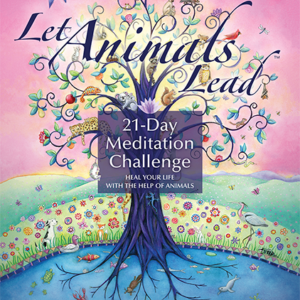 Be Reiki: for animals! If you want to be able to share Reiki with animals on a deeper level and be able to teach people this unique and effective way to help the animals they love, this class is for you! 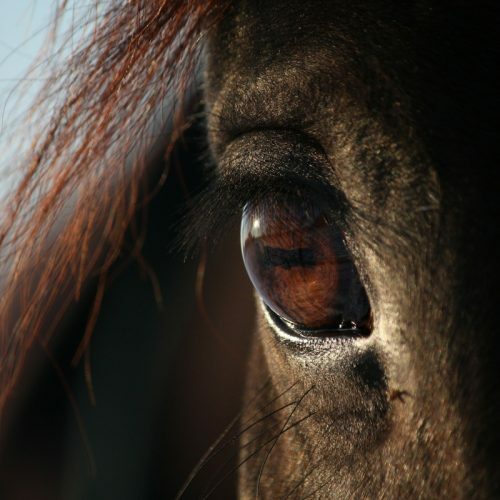 Class will be held at the UK’s #1 Animal Sanctuary: Remus Memorial Horse Sanctuary in Essex, England. 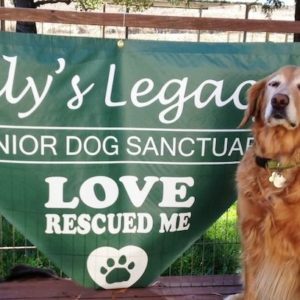 This sanctuary is a model for all rescue organizations, and an inspiring place of hope and healing against all odds. The animals here will touch your heart, and your Reiki experiences with them will stay with you for the rest of your life. Becoming a Shinpiden Level Practitioner is the beginning of a wonderful new chapter in your personal healing journey with the animals as well as a new beginning for your professional path in the community. This class is unique in its emphasis on traditional Japanese Reiki techniques integrated into Animal Reiki practice, guided by the unique approach and ethics of Kathleen’s teachings. Note: A limited number of Kathleen’s resitting students will be accepted for this class on a first-come, first-served basis. Resitting cost: $500. **Stay an extra day for the 1-day Code of Ethics training! 10% off the Code of Ethics Day for all students sitting this Reiki 3 class. Email Kathleen for your coupon code. A special Reiki lineage: Graduates of this class are certified as Reiki 3 Practitioners and Teachers in the Usui Reiki Ryoho lineage, with a specialty in animals. An ethical approach: You won’t find our methods anywhere else! 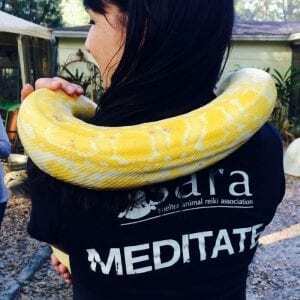 Our unique approach with animals is gentle and based in meditation, where animals always lead. You’ll learn to focus inward on your own state of heart and mind, rather than focusing on what’s “wrong” with the animal and then “sending” Reiki mentally to problems. A professional and extensive curriculum to use: All graduates have permission to use Animal Reiki Source manuals to teach Levels 1-3 Reiki/Animal Reiki. You will not find Animal Reiki manuals of this high caliber anywhere else! An invitation to become a SARA Teacher: Graduates of this special program are also invited to join SARA at the Teacher level. SARA is a one-of-a-kind charitable organization with hundreds of members around the world. You’ll be able to join this amazing community of animal lovers at the highest level of Teacher! Flight: The nearest airports are London Heathrow and Gatwick. Getting Around: We suggest you take a taxi, car service, or train to and from the airport. For a small extra fee, we will provide you transportation from Festival Park to and from Remus each day of class. Contact us for more information. For those of you not staying in Festival Park, you will be responsible for your own transportation to and from class. Eating Establishments: A variety of breakfast and dinner restaurants are located within walking distance of the above hotels in Festival Park. Lunches: During the class, vegetarian/vegan lunches will be provided at Remus. What an amazing class, to be enveloped in the love of Reiki and the animals at Remus. The owner at Remus, Sue, has so much compassion for all animals. Thank you Sue! And Kathleen for her compassion to help the animals thru Reiki and to share her knowledge, experience and love of Animals and Animal Reiki for all of us to in turn to help the animals. Thank you so much Kathleen!!!! No words can describe enough how wonderful Kathleen and Leah are, nor the changes that happen once you attend this course. Just two words: Thank you! Attending this class at Remus was an amazing experience. Despite the abuse they went through, all the animals were so open to Reiki and were great teachers and healers in our daily practise with them. Thank you to Sue for all she does for the animals and to Kathleen and Leah for guiding us during those 3 days in being the best Animal Reiki teachers we can be. 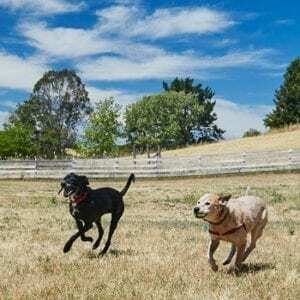 The combination of training in animal Reiki and Japanese Reiki for our own personal practice that Kathleen offers is unique. The course was very empowering and a great opportunity to take our Reiki to a new level.